The Marvel Cinematic Universe is one of the most popular and profitable film franchises of all time, collectively amassing over $17 billion in global box office in its first decade, and even more through merchandising, television shows, video games and comic books. Disney, who originally purchased Marvel for $4 billion back in 2009, has done everything they can to maintain their incredibly lucrative investment. 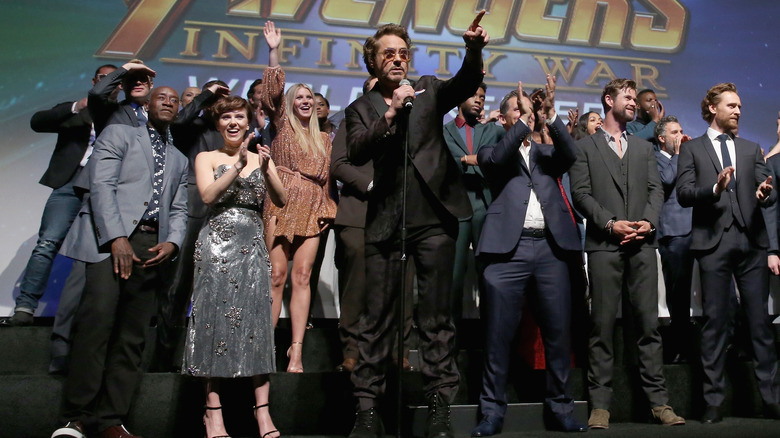 In order to avoid potential leaks and protect the brand's reputation, Marvel actors are carefully scrutinized before being selected by the studio and have to sign some of the strictest contracts in Hollywood. Actors are forced to sacrifice quite a bit for these roles, relinquishing all creative control over their characters and maintaining strict diets and workout regimens set by the studio. 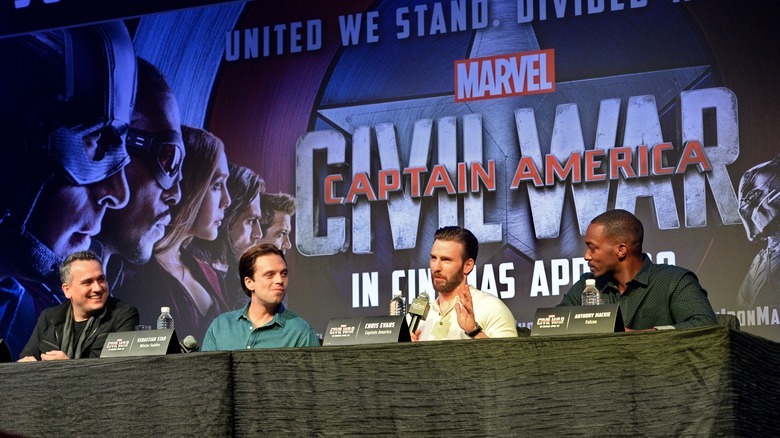 Marvel actors must also endure excessive secrecy over script details and exhausting press conferences and re-shoots. And that's just scratching the surface. Let's take a closer look at the outrageous rules actors have to follow in order to join the Marvel Cinematic Universe. Marvel's control over their cast, naturally, begins on screen. Despite the success of Fox's wildly explicit Deadpool films, Disney has been adamant about keeping their Marvel movies appropriate for a wider audience. Since Disney wants to appeal to kids as well as adults in these big budget superhero films, they have been particularly careful to tone down any violence. Specifically, the studio's aversion to decapitations and major limb loss seems to extend to the MCU. Another rule that Marvel/Disney takes seriously is providing good models for children watching. Smoking, for example, is prohibited in any of the Disney films. 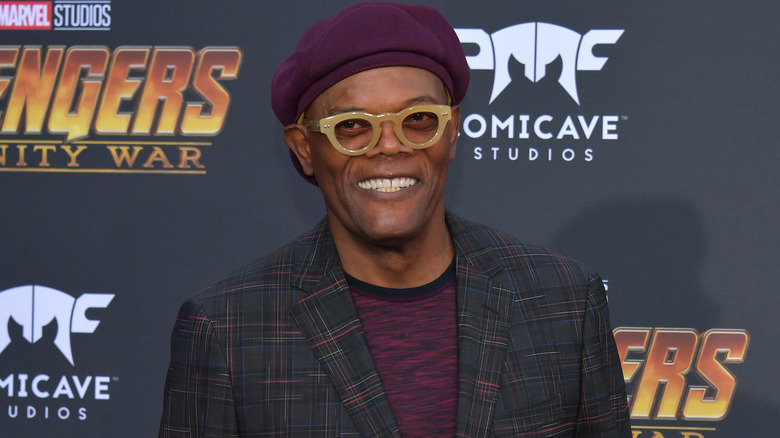 Even though Nick Fury's most iconic attributes from the comics include his eye patch and gigantic cigar, Disney nixed the latter in Samuel L Jackson's portrayal of Director Fury. Even though Disney is careful to aim their Marvel films at wider audiences, they have presented plenty of TV-MA-rated content through Marvel's Netflix shows, such as Daredevil and The Punisher. Even when actors step off of a Marvel set, they are expected to always adhere to the Disney image. In addition to generally avoiding controversy, this can include visiting children's hospitals and similar acts of philanthropy. Scarlett Johansson has maintained this image by working with charitable organizations such as USA Harvest and Oxfam that feed people from impoverished third-world countries. Mark Ruffalo stepped up to the plate when he brought more attention to the Standing Rock protests with his opposition of the Dakota Access Pipeline. Ruffalo would regularly join the Natives of Standing Rock during their protests, and even donated two Navajo-made solar trailers to provide shelter, heat, and power for the protesters during the winter months. Robert Downey Jr. is no stranger to philanthropic donations and hospital visits, but his most heart-warming act of charity to date was more personalized. 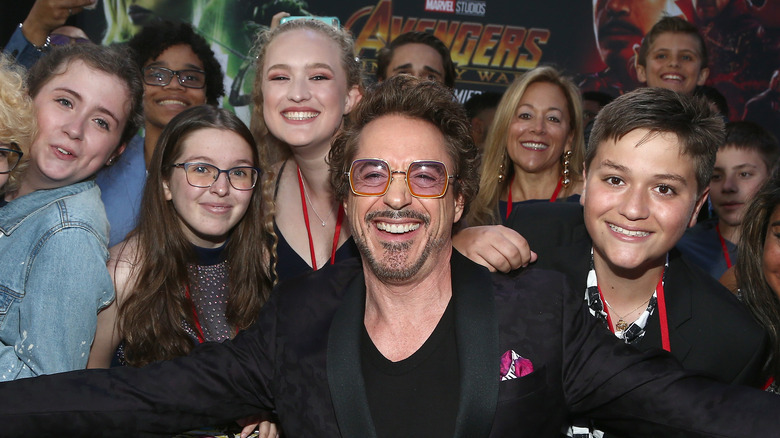 Downey Jr. actually delivered an Iron Man-inspired bionic arm (while in character as Tony Stark, no less) to a young Avengers fan born with a partially developed right arm for the Collective Project. In order to become an Avenger, MCU actors are required to complete demanding workout routines every day and maintain a strict diet, specially formulated to mold them into a superhero physique. Most Marvel actors are obligated to log around two hours of gym time a day and keep a diet consisting of mainly boiled chicken and dried oats. These requirements are taken very seriously, and actors are given warnings if they miss even a single workout. Although the basic requirements for fitness and nutrition are similar for every Avenger, many of the actors have found different ways to hone their figures. 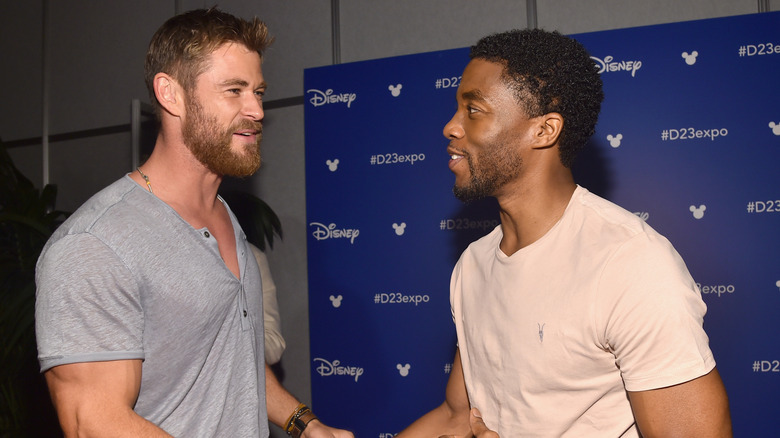 Chris Hemsworth worked hard to transform into one of the most physically imposing avengers, eating meals every three hours and sticking to old-school training such as pull-ups, rows, and squats. Robert Downey Jr. also engaged in weight lifting while training for his transformation into Tony Stark, but found Wing Chun to be useful for building tone and endurance. Chris Evans started with weightlifting as well to bulk up, but then began incorporating plyometrics and gymnastic exercises into his workouts for agility. Evans is even quoted describing how intense these workouts got: "I was puking at the gym. They were brutal, absolutely brutal." For other actors like Tom Holland, getting into shape did not come from workouts alone. Although Holland routinely practiced gymnastics and boxing, he also used a machine that relies on Electronic Muscle Stimulation to improve muscle tone. Although movie directors almost always have the final say, actors are usually given some creative flexibility when it comes to their characters. However, after joining the MCU, actors have to come to terms with the fact that they have absolutely no say in character choices or development. Even though the superhero that the actor is playing may be starring in their own film right now, Marvel has shown throughout the Avengers franchise that many of these characters will be brought together as different stories intersect. This means that each actor is a small cog in a much larger machine, and therefore has to follow the guidance of directors who know more about how the story evolves than they do. For big stars who are used to getting their way, this can be a very jarring experience. Edward Norton, who portrayed Bruce Banner in the 2008 film The Incredible Hulk, was rumored to have been replaced over creative differences. After the Oscar nominee spoke met with studio president Kevin Feige and director Joss Whedon about bringing Bruce Banner to the first Avengers film, Marvel released a statement implying that Norton was not going to return due to "the need for an actor who embodies the creativity and collaborative spirit of our other talented cast members." 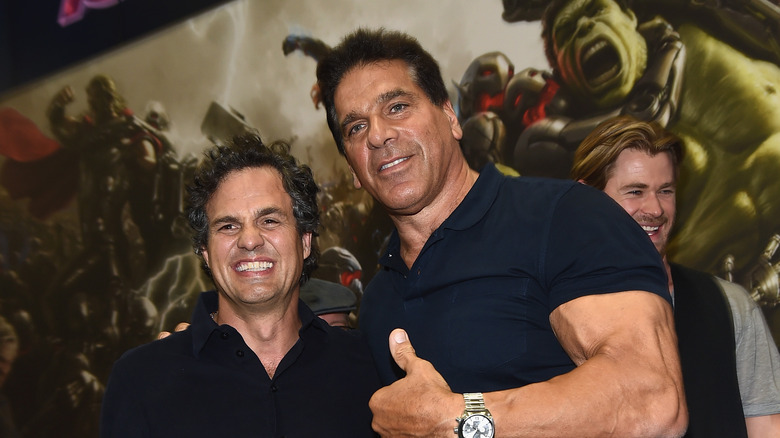 Whatever dispute Norton had with Whedon and Feige clearly could not be resolved, so Mark Ruffalo was cast as the new Bruce Banner soon after. Due to the incredibly passionate fanbase and immense popularity of Marvel's films, MCU actors have to endure rigorous procedures in order to avoid plot leaks. Actors must undergo background checks to be considered for a role in the MCU, and must endure even more secrecy to get a look at Marvel scripts. Elizabeth Olsen disclosed some of these reticent practices at the Seattle ACE Comic Con, revealing how strict script readings are kept. In order to even read a full script, Olsen explained, actors had to turn in any cell phones before entering specially designed rooms. These script-reading rooms were completely windowless and actors were only permitted to enter alone and only one time. Since they only had one chance to go into these rooms, that means that they had to finish the script in one sitting. Olsen also revealed at the convention that none of the actors had any inkling of the Infinity War plot until they were all piled into a secretive van and given the full rundown. Many actors realized that they had been given fake script details after they began filming, as Marvel had placed various changes in each script so they could determine the origin of any potential leaks. In fact, Tom Holland didn't even find out he was going to be turned into dust until moments before filming his demise. Although reshoots are commonplace on most sets, they're taken very seriously by Marvel. 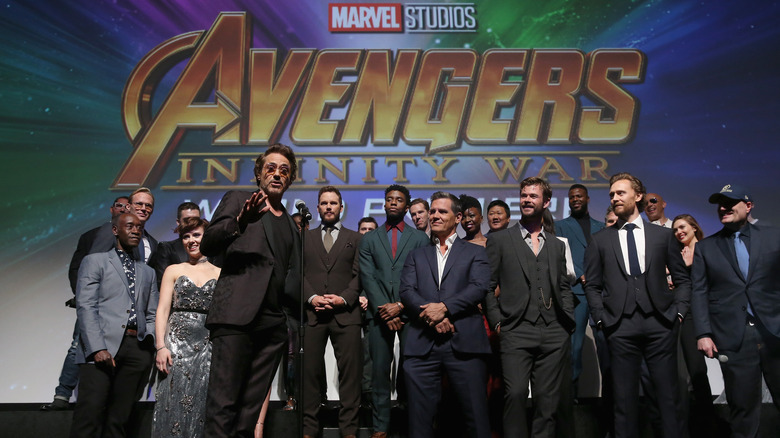 Reshoots in the MCU are prevalent due to the complexities that emerge as several different storylines intersect, such as when heroes like Iron Man and Captain America come together for blockbusters like the Avengers films. In order to maintain continuity across the franchise, reshoots are often needed as the overarching plot evolves. As a part of their contract, all MCU actors are obligated to show up for reshoots, regardless of what project they might currently be working on. 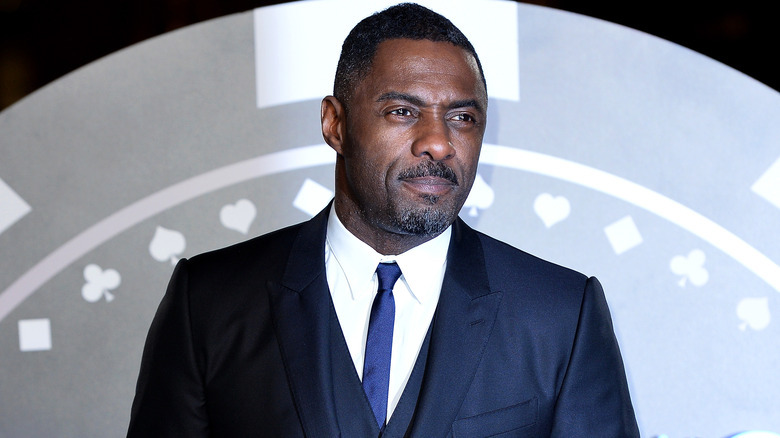 Idris Elba shed more light on his own struggles with reshoots for Thor: The Dark World during an interview with The Telegraph: "This is torture, man. I don't want to do this," he recalled saying. But his agent insisted, "'You have to, it's part of the deal.'" Elba's frustrations came from the fact that had been called back for Thor reshoots while filming for Mandela: Long Walk to Freedom. After getting into the head space for such a serious role portraying a figure with such historic importance, gluing on some fake hair to return to Asgard as Heimdall was apparently quite jarring for the actor. Although some actors prefer to do their own stunts, Disney contractually prohibits MCU actors from performing any stunts that have been declared too hazardous by the higher-ups. Actors must adhere to these rules because they are practically irreplaceable to Marvel during filming and any serious injuries could severely hinder the production process. This also allows Marvel to save some money that would otherwise go to covering costly insurance for their actors. Some actors, such as Chris Evans and Chris Hemsworth, have found ways around this rule and managed to push the limits on what stunts they could lawfully perform. 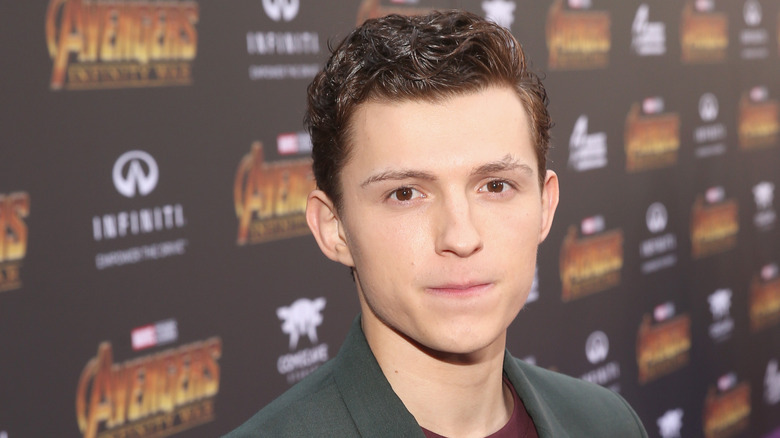 A younger and more recent addition to the Avengers team, Tom Holland has also discussed his experiences with doing his own stunts for Spider-Man: Homecoming. "I did as many [of the stunts] as I could," Holland revealed, "but there are some things legally that I couldn't do." Even though it's admirable that these actors are stepping up to the plate to do as many stunts as they are able to, Marvel is careful to leave the most dangerous stunts to the professionals. This way, they can ensure that no bodily harm comes to their stars, many of whom might play important roles in several different upcoming films. The contracts that actors sign when joining the MCU are very different from the usual agreements in show business. Instead of signing up for a single movie or series at a time, Marvel actors must initially sign a contract that outlines exactly how many films they will appear in as a main character. However, unlike most contracts, this agreement also includes a clause that requires actors to appear in any MCU movie while the contract is still active. This means that studio can choose to include a character in any Marvel film they want without actors having the option to decline these appearances. For example, if an actor has signed on for 4 films, then they are required to make any appearances that Marvel wants until the standing contract expires with the completion of production on that fourth and final film in the contract. Even if this appearance is just a five-second cameo in a film starring an entirely different superhero, such as Captain America's appearance in Spider-Man: Homecoming, MCU actors are contractually obligated to show up. Another stringent rule that actors have to follow when joining the MCU is participating in any and all press tours to promote the films. An actor's attachment to any given Marvel movie is far from over once the cameras stop rolling. Not long after they take off their costumes, they begin packing for a traveling caravan of interviews. These tours are extensive and can leave actors extremely exhausted and jet lagged. Not only are these events lengthy, they're hosted at a variety of international venues. Rather than focus on a single city or even country, the press tours are held all across the world to garner maximum exposure for the upcoming film. MCU actors could find themselves in China one night and Europe the next, struggling to plaster a smile on their faces despite sleep deprivation. The exhaustion can lead to some weird moments. Sometimes, the promotion begins before production is even done, and actors may be required to attend major conventions between shooting hours. 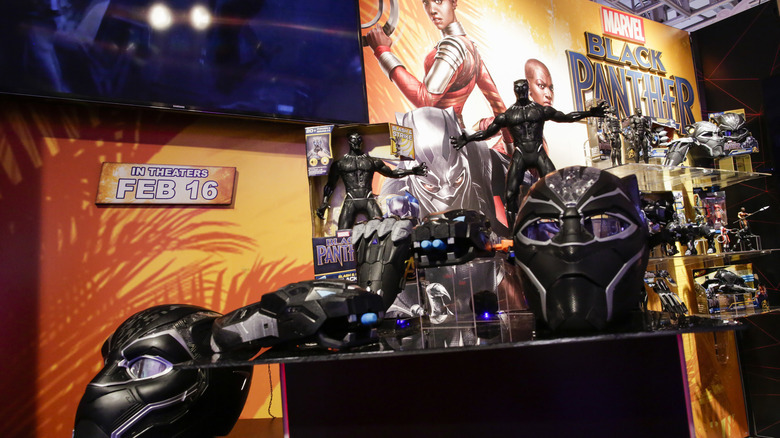 Not only are all MCU actors at the beck and call of Marvel for cameos or press tours, they must also be available to all Disney toys and video game manufacturers. Whether this means appearing at stores across the country to promote the latest Marvel products or stepping in front of a green screen to capture facial features for the newest Avengers video game, actors are contractually obligated to meet the needs of merchandisers. Actors working with Marvel must come to terms with the fact that they have pretty much sold their likenesses to Disney vendors. Although it may be a little strange or even uncomfortable for actors to hold miniature versions of themselves when they pick up an action figure, this is a non-negotiable part of the deal they agreed to when joining the MCU. It is no surprise that Disney takes franchise merchandising so seriously, considering that Marvel consumer products bring in even more revenue than the films do. To put this into perspective, in 2011 Disney's consumer products division produced an income $618 million dollars higher than its film studio. One of the most steadfast rules that actors must follow once they become a part of the MCU is abstaining from appearing in any DC Extended Universe movies. As Chris Hemsworth revealed at the Australian 2017 Supernova Comic-Con, it is actually illegal for any Marvel actors to act in a DC movie. 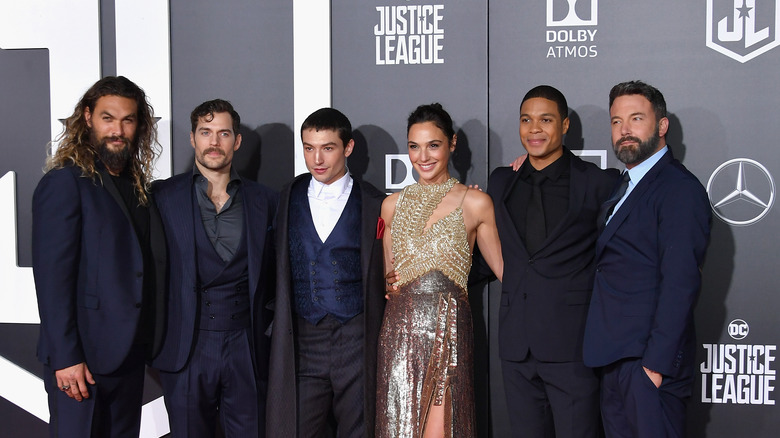 Once cast as a part of the Marvel team, actors are not allowed to cross-contaminate the two separate universes by accepting a role as a DC character. Considering Marvel and DC are direct competitors and engaged in a staunch corporate rivalry on the same scale as Starbucks vs. Dunkin, this non-compete clause makes perfect sense. Marvel carefully selects stars who they believe will earn them millions in box office sales and merchandising, so it's natural that they would do everything they can to stop these painstakingly-chosen actors from bringing the same huge income to their competition. The agreement seems beneficial for both comic entertainment industry kings, as having actors cross over from one universe to the other could muddy the waters for fans of both Marvel and DC.